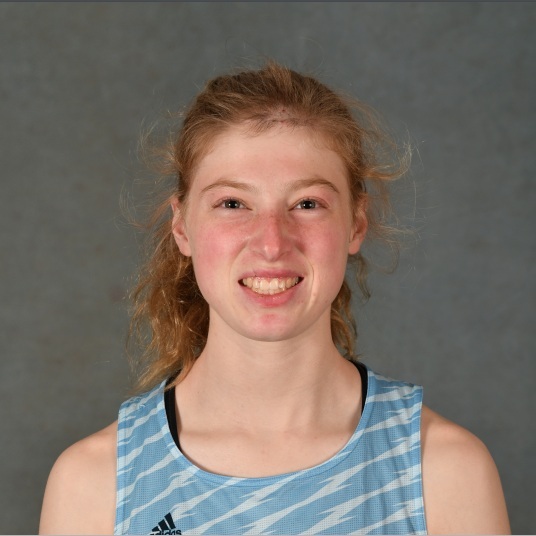 Hannah Rieders ’21 individually qualified for the invitational in the three-kilometer race, clocking in a personal record of 10:55.59 at the Massasoit Classic last weekend. Rieders is from Wellesley, Massachusetts and will be competing against her sister Madeline in the three-kilometer at Boston University. Rieders is excited to compete in the atmosphere at BU. “I am looking forward to racing in a competitive field against some really strong runners on a fast banked track,” she said. “I think the energy and competition of the overall meet will really help to drive me. I am also looking forward to cheering on my other teammates in their events.” Looking beyond the BU Invitational, Rieders hopes to qualify for D-III New England Championships in the three-kilometer. 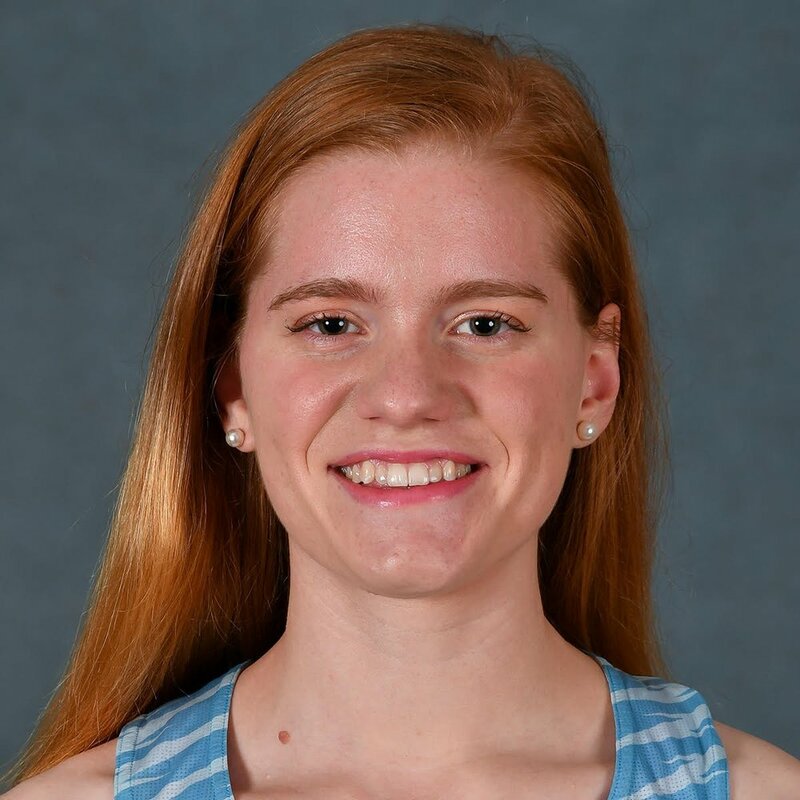 Emsie Cronin ’19 will be representing the Lyons in the 800-meter leg of the distance medley relay. Cronin is a middle-distance runner from Ledyard, Connecticut. 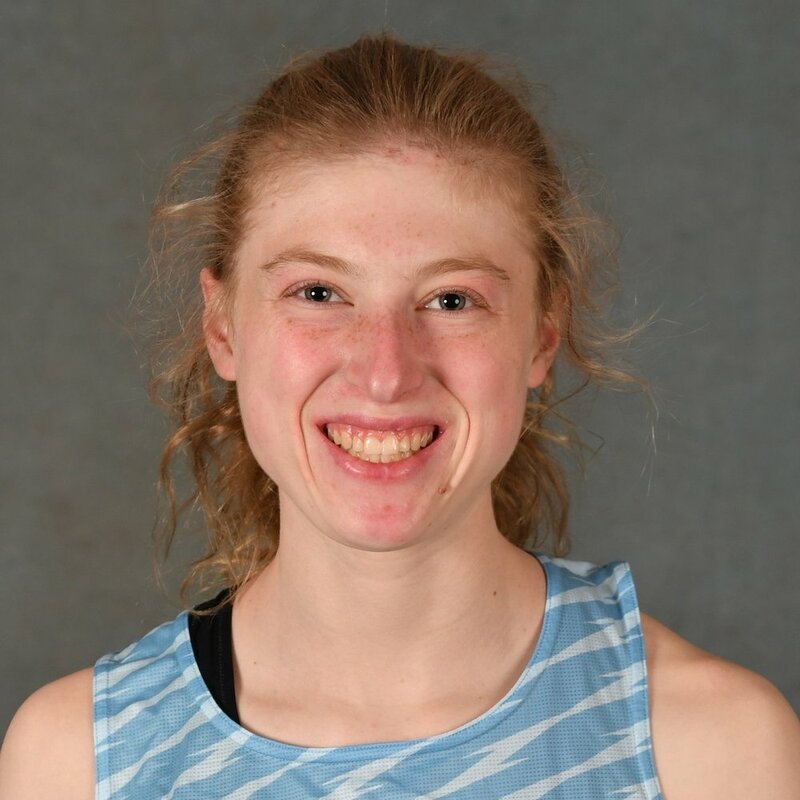 In addition to track and field, Cronin is also a member of the Mount Holyoke cross country team. Charleen Theroux ’20 qualified for the invitational individually in the 200-meter race and for the team in the 400-meter leg of the distance medley relay. Theroux is a sprinter and jumper from Coventry, Rhode Island. Sydney Nash ’22, a first- year from New Hartford, Connecticut, will compete in the mile race as well as a leg of the distance medley relay at the Boston University Valentine Invitational. Each track and field athlete has their own way of getting game ready. Nash, for example, has a warm-up playlist to prepare herself before a race. “I like anything that has a good beat to it,” she said. Mid-distance runner Simone Jacob ’21, from San Francisco, California, qualified in the mile race and a leg of the distance medley relay. “When I qualified for Boston University in the mile I was super pumped that I would have the chance to compete with such talented athletes at such a competitive meet,” said Jacob. What goes through an athlete’s mind during a game or competition? Jacob said, “Honestly during a race I’m not thinking about anything but staying with the person directly in front of me and competing. I tell myself whatever they do I do and imagine that we are attached with a rope. If it gets really tough I tell myself I’m stronger than I think I am to help push through the pain,” Jacob continued. “By the time I’m crossing the line I’m usually just leaving it all out there and racing. I sort of black out and just finish. After the race I’m very out of it and have ‘runner’s brain’,” she laughed. Madeline Rieders ’21, a runner from Wellesley, Massachusetts, qualified for the three-kilometer race. “After I qualified for this meet, I was really excited to race with strong runners and was happy that some of my other teammates will be competing as well,” said Rieders. Rieders is ready to test out Boston University’s banked track for the first time. “I’m so excited to race in a competitive field,” she said.